Andy Spears finished Day 1C with a massive 536,000 in chips. The final flight of the HPT The Meadows $1,100 Main Event concluded and 28 players bagged and advanced from the 197 who played, the largest field of the three by a wide margin. Andy Spears bagged the chip lead for the day and the entire tournament with a massive 526,000 in chips. Spears was in control the entire day, steadily building his stack without much resistance. He found his way up to 100,000 by the dinner break, playing and winning a lot of smaller pots. As the blinds got bigger, so did his stack as he found himself with 180,000 midway through Level 11. By the last break, he was up to 270,000, which he almost doubled in the last two hours of play. Spears looks to claim his first HPT title, though the spotlight is nothing new to him. With over $1.3 million in live winnings, several tournament victories, and numerous high stakes final tables under his belt, he is one of the favorites in the field as the three heats will combine to one field on Day 2. 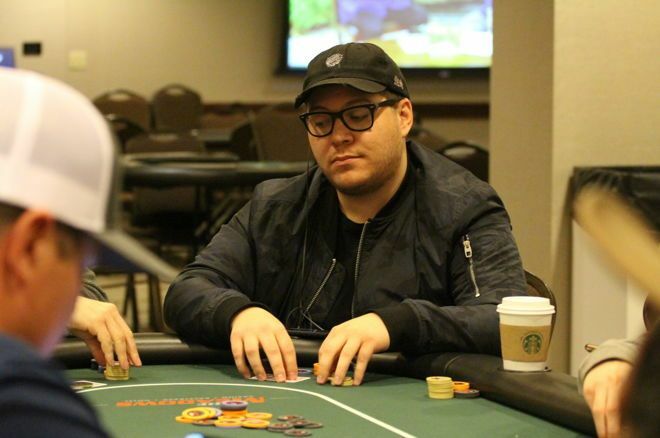 In addition to Spears, Christopher Lee (479,500) and Anthony McIe (390,500) also bagged larger stacks than Jason Pickup (387,500), the chip leader after the first two flights. Other notable players to advance include Stan Jablonski (167,500) and Iverson Cotton Snuffer (193,000). Some players who did not advance from the final heat of the tournament were Nick Pupillo, Andy Rubinberg, DJ MacKinnon, and Mikey Esquivel. Day 2 will resume at 11 am local time and will be played. The tournament will play down to the final table, which will be played and live streamed on Monday. The PokerNews team will be on the floor for all the action, so come back for updates for the rest of the tournament. You can find all HPT Live Updates in the PokerNews Live Reporting section.